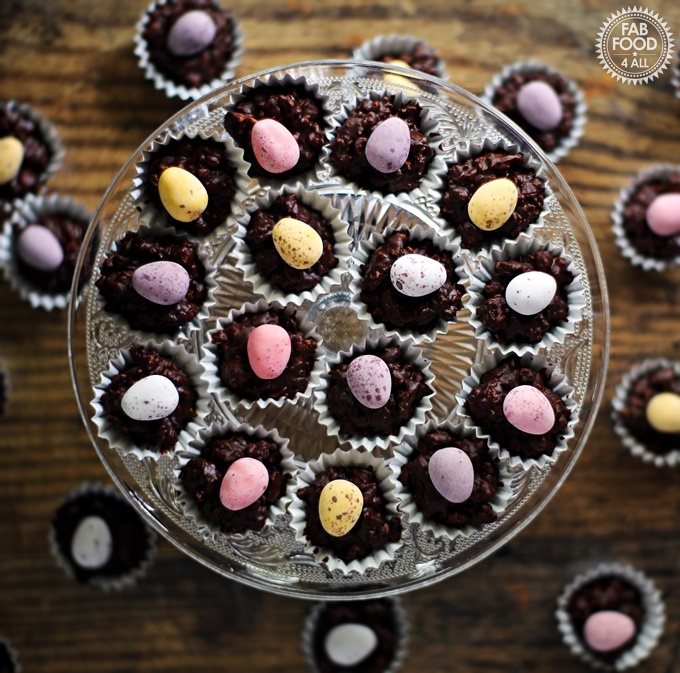 You are here: Home / Easter / Mini Egg Chocolate Granola Bites – so quick & easy! Easter is a time where we tend to over indulge in chocolate. So, in a bid to make a slightly healthier treat I’ve come up with these Mini Egg Chocolate Granola Bites. 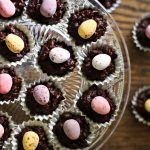 I made them in petit four cases so that you can enjoy a really tasty Easter treat without going over board (okay maybe my will power isn’t that great)! 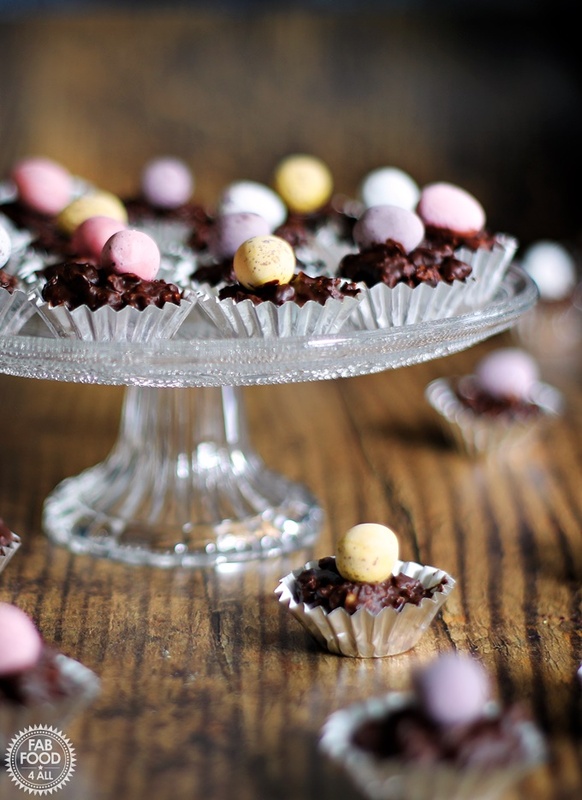 These quick and easy Mini Egg Chocolate Granola Bites are perfect for kids to make over Easter. They would be great for giving to class mates or as teacher gifts. 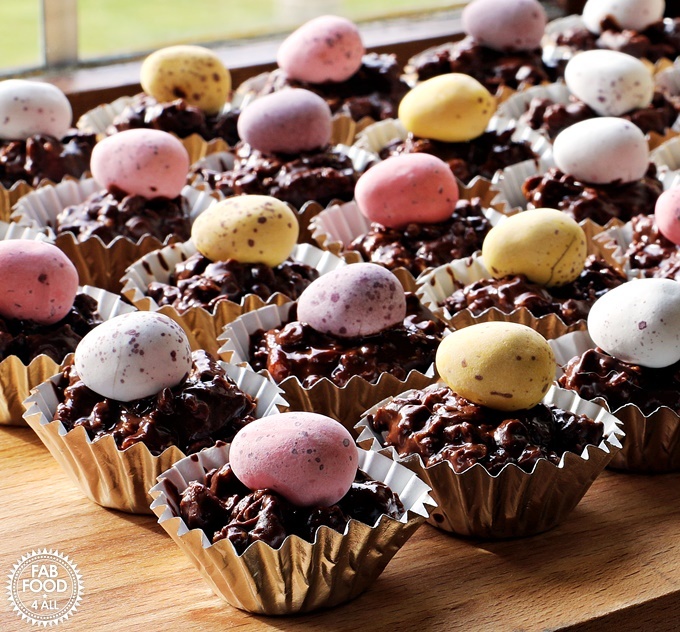 They can be popped into cardboard eggs to give as Easter presents for family & friends or just be a really pretty addition to an Easter afternoon tea. 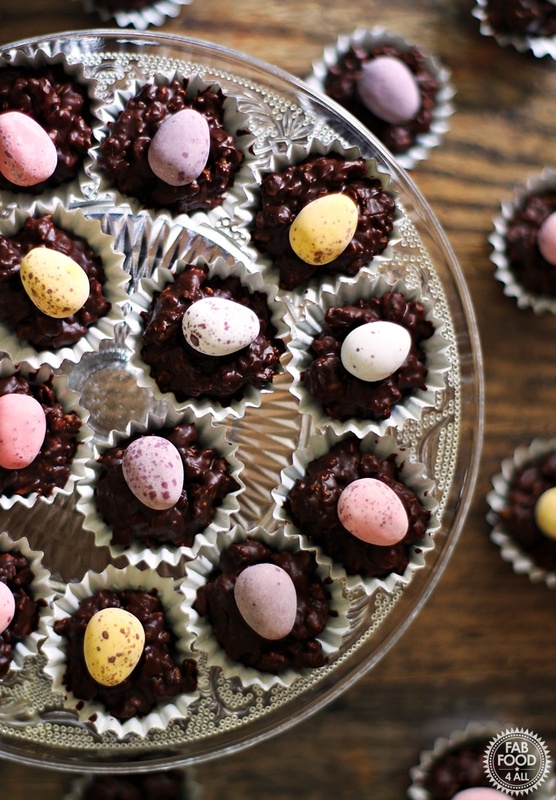 I used Cadbury Mini Eggs but you could use any mini eggs to top these chocolate granola bites. To ring the changes, you could also use another type of cereal like crushed up Shreddies. To coat the granola I used a 3 to 1 ratio of dark to milk chocolate which gives a nice contrast to the milk chocolate Mini Egg. 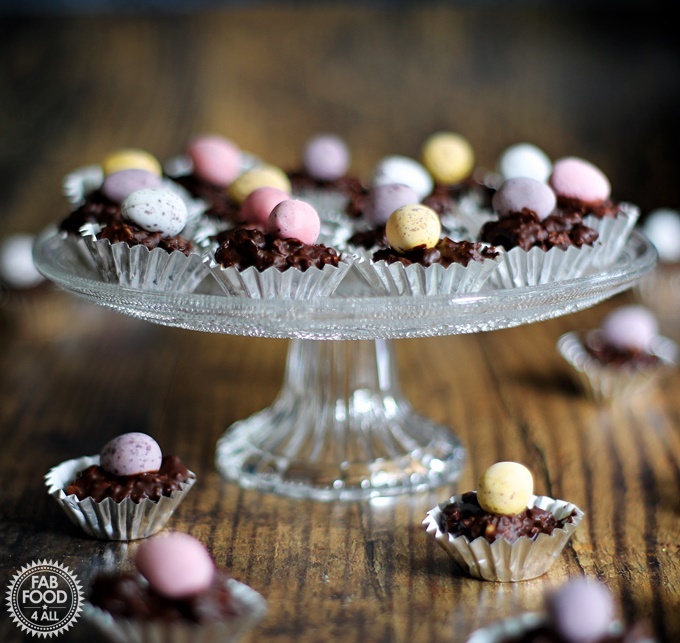 These Mini Egg Chocolate Granola Bites went down a storm in our house so I’m sure you and your family will love them too. 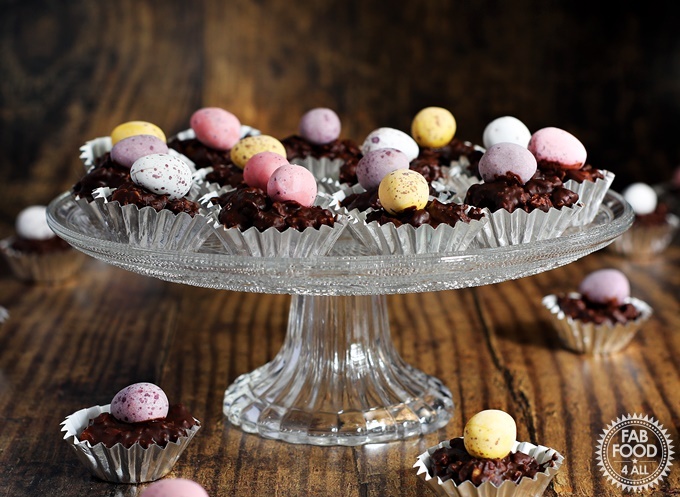 So quick and easy, Mini Egg Chocolate Granola Bites are the perfect Easter treat or gift! 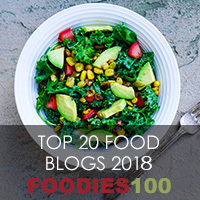 Ideal for kids to make! Break up the chocolate and place in a bowl along with the butter. Place bowl over a pan of barely simmering water. Stir melting chocolate and butter with a wooden spoon until well mixed. Take off the heat and stir in the granola until thoroughly coated. Using a couple of teaspoons, spoon the mixture into the petit four cases. Top with a Mini Egg. Store in tin in a cool place. What an absolutely ADORABLE idea, Camilla! IT would also be a great way to use up a surfeit of Easter eggs. Pinning!